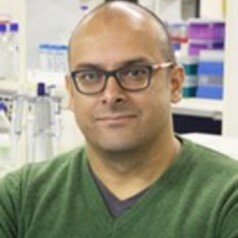 Stuart Ali, BSc(Hons), MIoD, PhD, FRSPH, is Research Project Manager for the H3Africa AWI-Gen Collaborative Centre, and Investigator at the Sydney Brenner Institute for Molecular Bioscience, Faculty of Health Sciences, University of the Witwatersrand in Johannesburg, South Africa. His career has traversed diverse roles in molecular bioscience research, business development, and entrepreneurship. He co-founded an HIV clinical research center, has led EMEA sales, service and support functions for Thermo Life Science and Molecular Devices, and was Product Manager for high-throughput genotyping robotics at Robocon. Stuart has worked in several gene therapy and vaccine research laboratories including the Systemix Gene Therapy Laboratory at the Novartis Research Institute Vienna, Baxter Healthcare, Bioproducts and Bioengineering AG, Oxford University, and the University of the Witwatersrand. Stuart’s research interests associate with precision medicine, tools for molecular diagnostics, big data and artificial intelligence, in the context of an holistic approach to improving the health of African populations. Stuart lives in Johannesburg with his wife, several (!) cats, and two dogs named Matilda and Pandora. Circular dichroism analysis of insect cell expressed herpes simplex virus type I single-stranded DNA-binding protein ICP8. , Protein Expr. Purif. Transferrin Trojan Horses as a rational approach for the biological delivery of therapeutic peptide domains., J. Biol. Chem. High level expression and structural characterisation of herpes simplex virus type I transcriptional activator VP16 (alpha-trans inducing factor). , Biochem. Biophys. Res. Commun.